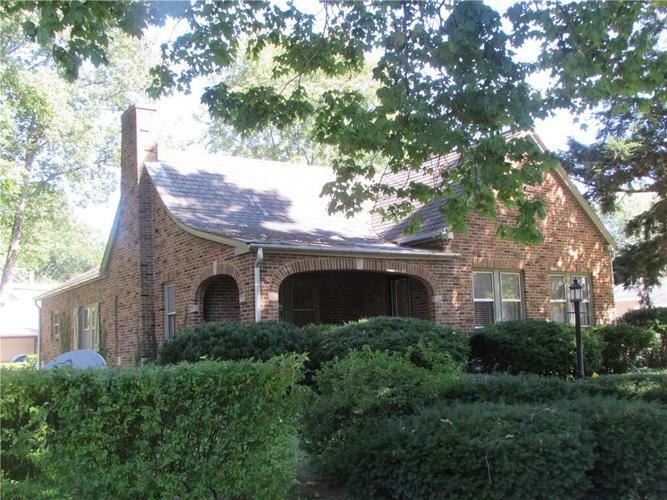 Adorable older brick home! Hardwood floors, archways, fireplace, slate roof and all the charm! Large living room and dining room, large entry way, plus breakfast nook off of updated kitchen! Covered front porch and open patio in back. 2 bedrooms plus office, 2 full baths. Large clean basement and 1 car detached garage on corner lot. Immaculate and move in condition! Appliances in kitchen stay!